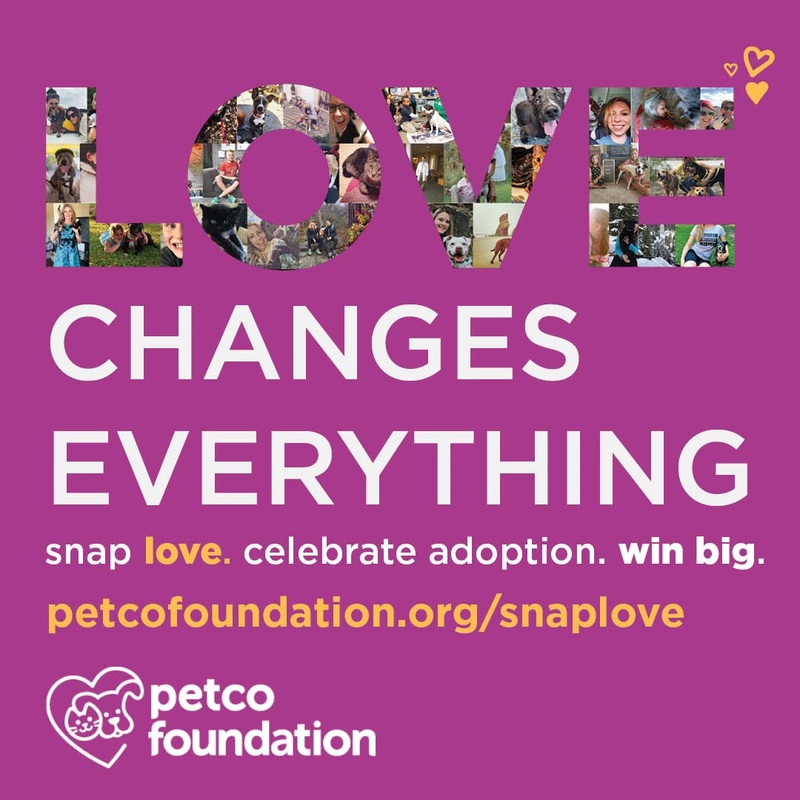 The Petco Foundation, a leading animal welfare funder, is teaming up with award-winning artist and creator of the heart-warming MUTTS comic strip, Patrick McDonnell for the annual “Love Changes Everything” campaign in an effort to raise $3.1 million to support lifesaving animal welfare work nationwide. When asked if I would participate by helping to share this marvelous campaign, it was a no-brainer that I would say a resounding "YES!!" Why? Because Cody was adopted from a Petco adoption drive back in 2007, as a result, Petco is our pet store of choice! 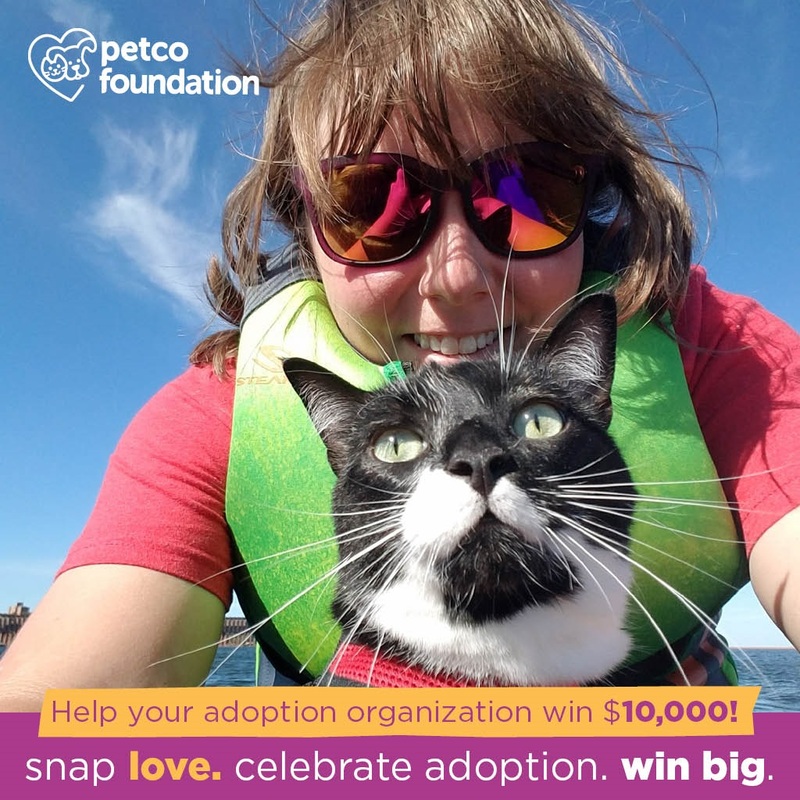 this year pet adopters can join the Petco Foundation in creating the world’s largest mosaic mural of adopted pets and their people. Adopters submitting photos at petcofoundation.org/snaplove will be eligible to win daily prizes, including a $100 Petco gift card, a signed MUTTS print, and a coupon for a bag of WholeHearted Pets pet food, PLUS a $500 grant award for eligible adoption organizations! The above photo, albeit AWFUL, is the very first photo of Cody and I that was ever taken. This was taken at the Petco Adoption drive that I adopted Cody from, back on July 28th, 2007. Cody was such a tiny kitty! Animal lovers can support the “Love Changes Everything" campaign by making a donation in any Petco, Unleashed by Petco store or online at petcofoundation.org/love. Anyone who makes a donation of $10 or more will receive a limited-edition tote bag featuring MUTTS artwork specifically designed for the "Love Changes Everything" campaign. This is SUCH an awesome campaign! That's wonderful and love does change everything...and adoptions too! What a great campaign! And Patrick McDonnell is the best. Whoa! We don't have a Petco closeby but TW might pop into the event in Union Square Park if'n it isn't snowing. I was adopted but not from a Petco. We love Mutts! It's the only cartoon that comes to our inbox daily. I believe it was 2 years ago, my Aunt Karen won about 50,000 from Petco for her rescue. I'm gonna look for a pic with Pop to enter. Wow, thumbs up on this campaign. What an awesome campaign! We'll look into more of this tomorrow when we go to our Petco nearby. Thank you! Well, how cool is this! Thanks for posting about it! What a fabulous campaign! We had no idea about this so thank you very much for telling us about it! We love the first photo of the both of you! 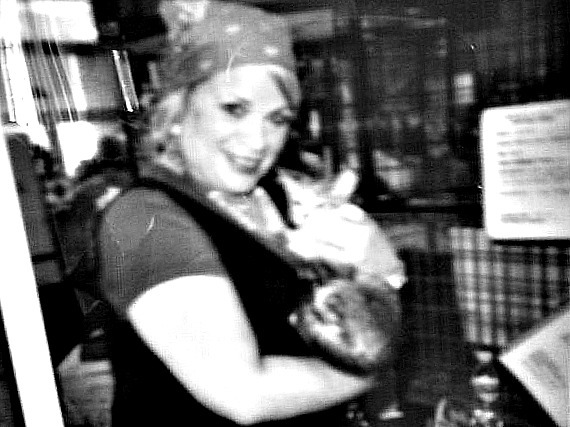 Love that photo of you from the petco adoption! you are too sweet! Thank you! That was taken way before I ever had a blog and the photo is awful but thank you!! I love this! And being that love of and from my kitties has literally changed EVERYTHING in my life - I couldn't agree more. We love that picture of you and tiny Cody!! What a fun campaign! Truffles was adopted from Petco too :) I need to stop in and pick up a Mutts tote! What a wonderful campaign! We love the name, too. Love really does change everything. We'll be visiting a nearby Petco with Cupcake this weekend, and we will check this out! What a fun campaign! Thanks for telling us about it. We only wish we had a Petco closer to us. I made a donation, and I'm excited about getting a Mutts totebag! I love Mutts. What a great campaign, and I bet that mosaic is going to look so cool! This is a super campaign! Too bad I am way too late to enter Dalton...but what a great idea!